Your printed image is important in making a positive impression on clients and prospective clients. 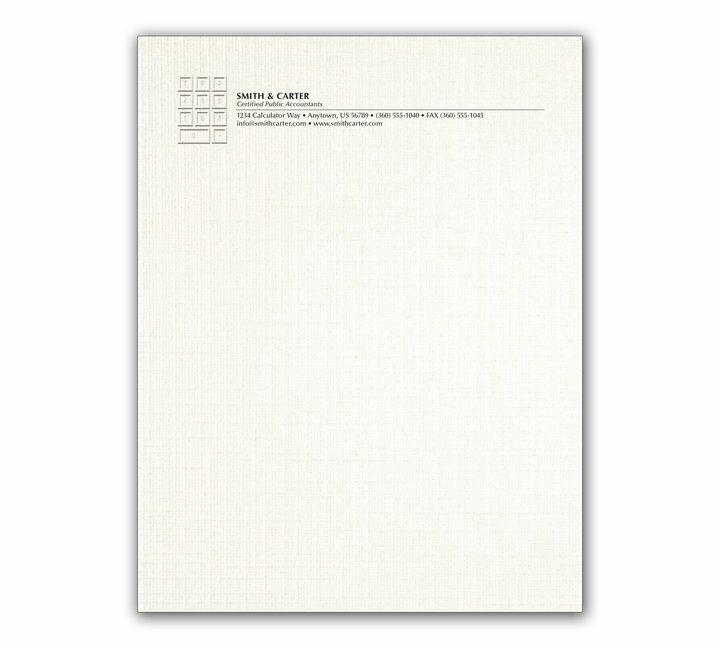 This unique letterhead design projects confidence, style, and success with every contact you make. Striking calculator embossed on natural white paper.